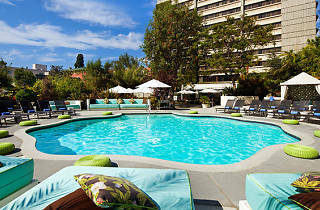 Photograph: Courtesy W Hotels WET Pool at W Los Angeles. 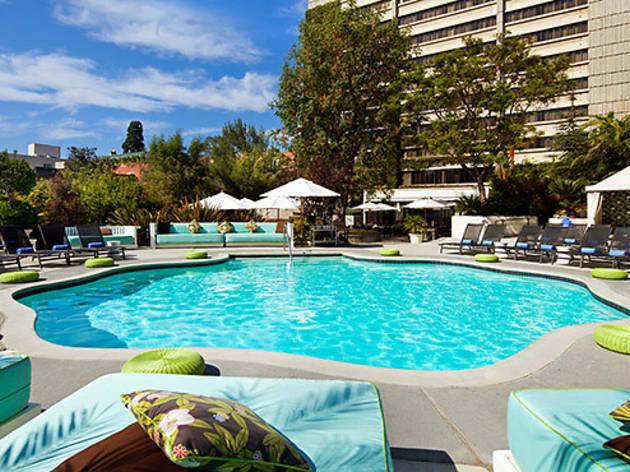 W Hotels, along with energy drink Burn, kick off their annual online DJ competition with a pool party at the Westwood location. Last year's winner, LA-based DJ Posso, spins poolside, while everyone else can try their hand at the pop-up Scratch DJ Academy. Chef Dakota Weiss (The Backyard) provides the food, while cocktails come from barRV—the hotel's new poolside bar in an old 1963 Airstream Bambi.